Coldwell Banker Commercial Saunders Ralston Dantzler Realty (CBCSRD) released a market report on qualified sales data for the third quarter of 2018. 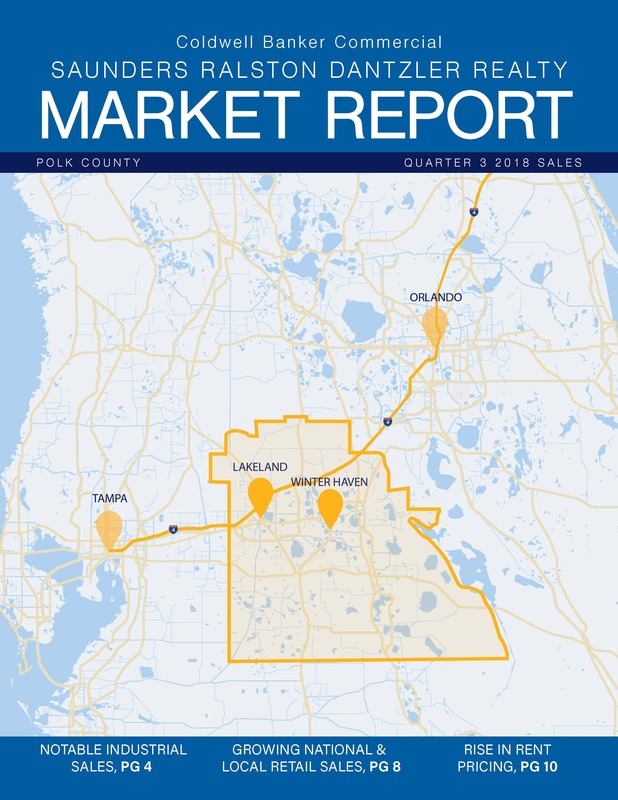 The report provides a comprehensive look at commercial real estate values in Polk County and covers the industrial, office, retail and multi-family property sectors. To download a copy of the CBCSRD Market Report, visit srdcommercial.com/marketreport.